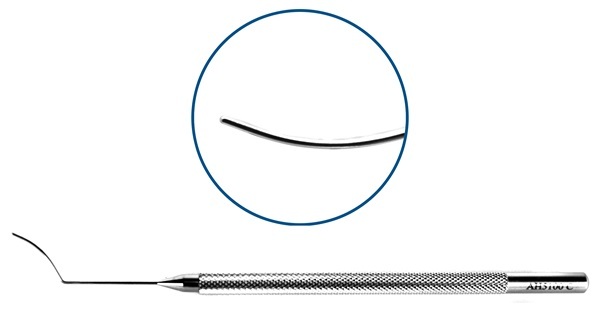 Angled shaft, 0.5mm x 15mm angled round blade, smooth, pointed tip, slightly curved blade. Round handle. 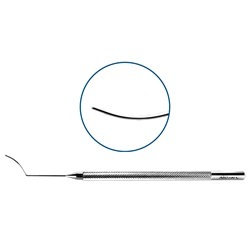 Overall length: 120mm.